A Shropshire estate agent will be leading the field at a major county cycling event this summer – providing the lead car for the Newport Nocturne as one of the sponsors. The Nocturne, the UK’s original floodlit cycle race, returns to the streets of Newport on August 18 after an absence of four years and will attract thousands of people to the market town. 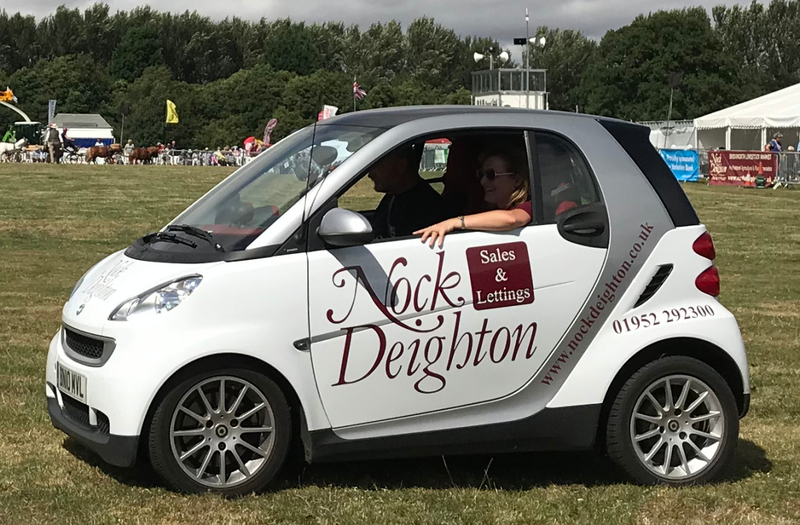 Estate agents Nock Deighton, which has an office in Newport High Street, has thrown its weight behind the event as one of the sponsors, with the firm’s Smart Car acting as a lead car in the Supersprint event. Lucy Blythe, of Nock Deighton, said: “The town is really buzzing right now at the prospect of this massive event returning to our streets. It was last held in 2014 and had become an integral part of the calendar, being established way back in 1989. “Many of the sports big names have attended the biennial event over the years and it is great to see it reintroduced in 2018. It has attracted up to 15,000 people in the past and is a terrific advert for Newport. “Nock Deighton is proud to be part of the local community and support local events whenever we can. We are delighted to sponsor the Newport Nocturne this year and provide our Smart Car as one of the lead cars. “The night-time setting creates an incredible atmosphere for the crowd and riders and the organisers were always able to keep the event fresh and interesting by introducing some unique features. “It promises to be a great night and we hope as many people as possible turn out to support it. The Newport Nocturne has been a firm favourite with cyclists and has seen the likes of Ed Clancy, Mark Cavendish, Sean Kelly and Geraint Thomas, this year’s Tour De France winner, take part over the years. It has also always captured the imagination of the public – cycling enthusiasts and casual observers – for the unusual race format which has been copied by other venues across the country. The Nocturne is a pro race over a 1.2-mile circuit of the town, meaning spectators can enjoy the action-packed spectacle of the riders negotiating the partially cobbled circuit, every couple of minutes.